It doesn’t get more family-friendly than a used Dodge Grand Caravan, which trumps even crossover SUVs with its cargo space and kid-savvy tech features. All of these used minivans treat your crew to the head and legroom they’ll need as they grow. Depending on model year and trim level, the Grand Caravan even treats you to classy cabin materials and a crisp, receptive touchscreen. Before you start test-driving in earnest, check out our used buying guide. We’re here to help you understand how these minivans have changed over the years. Why buy a used Dodge Grand Caravan? If you’re shopping for one of these dependable minivans, you’re likely here for three rows of family-friendly passenger space and kid-specific distractions. You’ve certainly come to the right place. Seating accommodations are nicely cushioned and spacious. Higher trims offer high-tech options, like a rear-seat DVD entertainment system with HDMI and Blu-Ray ports. Plug in your kids’ favorite gaming systems and they can play video games all the way to grandma’s house. 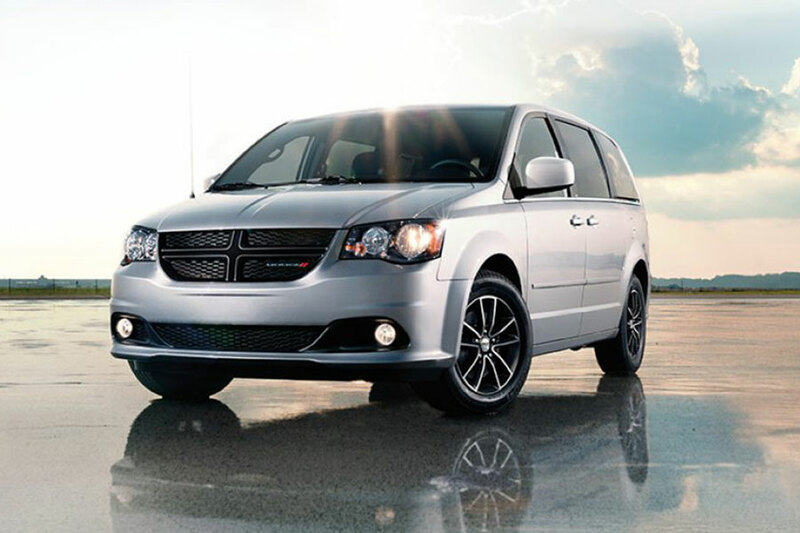 How does the used Dodge Grand Caravan stand apart from the competition? This spunky minivan has a few features you won’t find anywhere else. The Stow ‘n Go second-row seats increase cabin versatility, because you can fold them all the way into the floor at the touch of a button. With this extra space, you can haul a bicycle or roll out your kids’ sleeping bags during road-trip rest stops. And, naturally, you can load large items that simply won’t fit behind the rear seats. In addition to modern convenience, this minivan boosts your on-road confidence with its high-tech driver aids. Check your used model’s features list for the rearview camera and blind-spot monitoring system, both of which help you spot danger before it can become an issue. How has the used Dodge Grand Caravan changed over the years? The 2011 Grand Caravan turned a modernized leaf, with increasingly high-quality materials and tighter cabin construction. Before 2009, the Stow ‘n Go seats were optional. If you’re shopping for an older model, check the features list to ensure this time-saving feature is on it. The 2008 model came standard with a second-row bench seat, but captain’s chairs were optional.